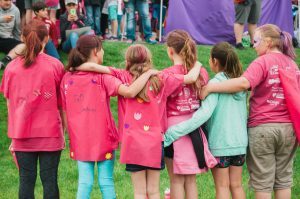 Over the last 10 years, Girls on the Run of Columbia Valley has been expanding throughout Chelan and Douglas counties. Girls on the Run International is a 501©3 nonprofit organization with over 220 councils in 50 states. It is a physical activity-based youth development program for girls in 3rd-5th grade, with a curriculum that strives for girls to improve competence, feel confidence in who they are, develop strength of character, respond to others and oneself with care, create positive connections with peers, adults and make a meaningful contribution to the community. 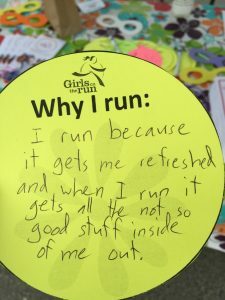 Running is a means by which some of these qualities are achieved, but a lot of what is done at Girls on the Run is focused on interactive learning activities that foster positive growth. 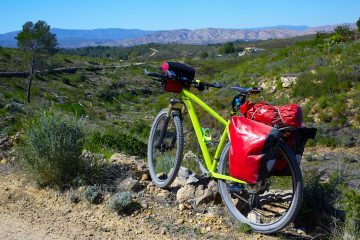 During each 10 week program coaches follow a curriculum. 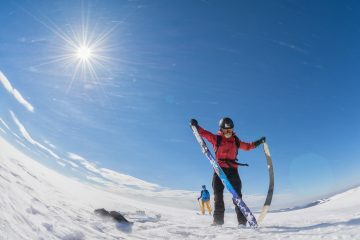 Each practice begins with an informal conversation about what was learned at the last practice, followed by the lesson for the current practice, a brief warm-up, an active activity or game, a running workout, and finally a wrap-up of the day’s practice. At the end of the season each girl completes a celebratory 5k, which is the culminating experience of the program. Staff and volunteers have seen girls significantly improve in their performance in school, how they treat others and it has increased their confidence. 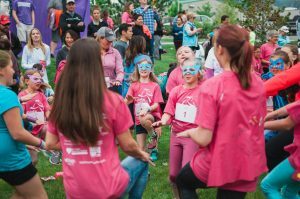 This spring Girls on the Run of Columbia Valley is anticipating their largest season yet, with at least 16 teams at 14 different schools in Wenatchee, East Wenatchee, Waterville, Chelan, and Palisades. This means they expect 250-300 girls to participate in the program. 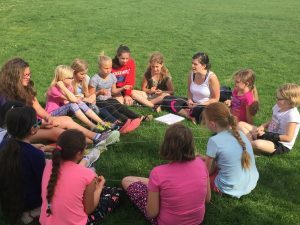 Girls on the Run of Columbia Valley states the important aspect of being able to offer the program to this many girls is their volunteer coaches. The coaches are women who care about improving the lives of young girls in the community, and they do not need to be “runners”. Staff members note that becoming a coach is the most rewarding way to become involved with the program, and many of the coaches find that they benefit from the experience as much as the girls do. Coaches are trained on how to use the curriculum so that they are ready for the season. Practices are held twice per week, usually afterschool from around 3-4:30. Head coaches must be at least 21 years old, assistant coaches must be at least 18 years old, and junior coaches must be at least 16 years old. The spring 2018 season will begin the week of March 5th, and end with the celebratory superhero 5k on May 19th. The staff are looking for passionate women to join the Girls on the Run program as coaches for this spring. If you are interested please email Carolyn.larkins@cvch.org, check out their website at https://gotrcolumbiavalley.org/, or their Facebook page Girls on the Run of Columbia Valley – Home.